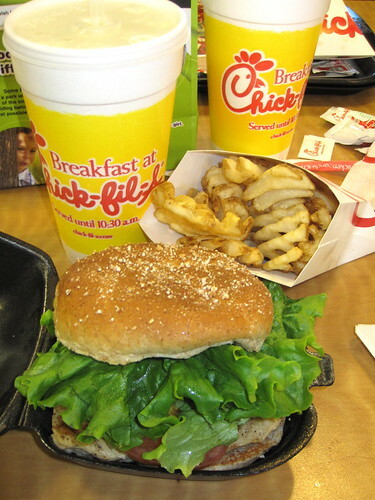 Thursday is the night to go to Chick-Fil-A. You buy one meal and you get one children's meal free. It worked out in our favor today that we "needed" to eat out. Yummm.